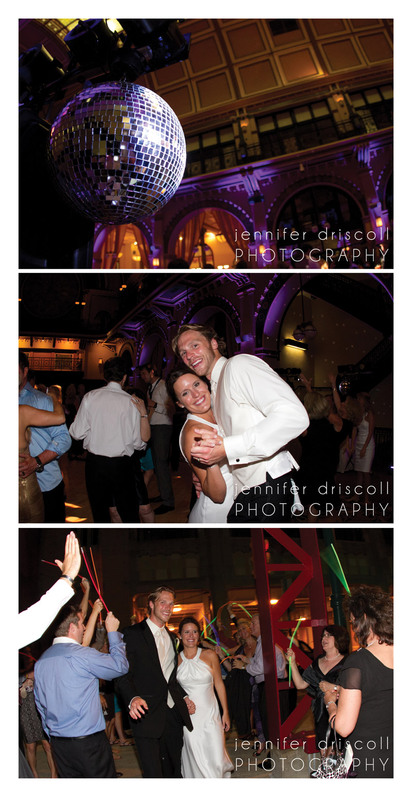 Check out this beautiful wedding photographed by Jennifer Driscoll. We had a small part in this event (the candy buffet) but all of the details are amazing. Leslie and Conor planned things from afar! Leslie’s sister married just over a year ago and so when Conor asked for Leslie’s hand in marriage dad must have really liked him to say yes and plan yet another beautiful family event (well Susan and Leslie did most of the work with help from Deborah Bowman:)). These two could not be more perfectly matched. Not only are they both tall and gorgeous, but kind, sweet, compassionate and very humble. Leslie was one of the most shy brides I’ve ever photographed! Her humbleness and sweet nature make her so endearing. I know they are enjoying their move to California! I hope to see you soon! Can’t wait to get rocking on the wedding album. Check out all the purple details! This entry was posted in plum candy buffet, plum wedding, purple wedding on September 8, 2011 by Setting the Mood.